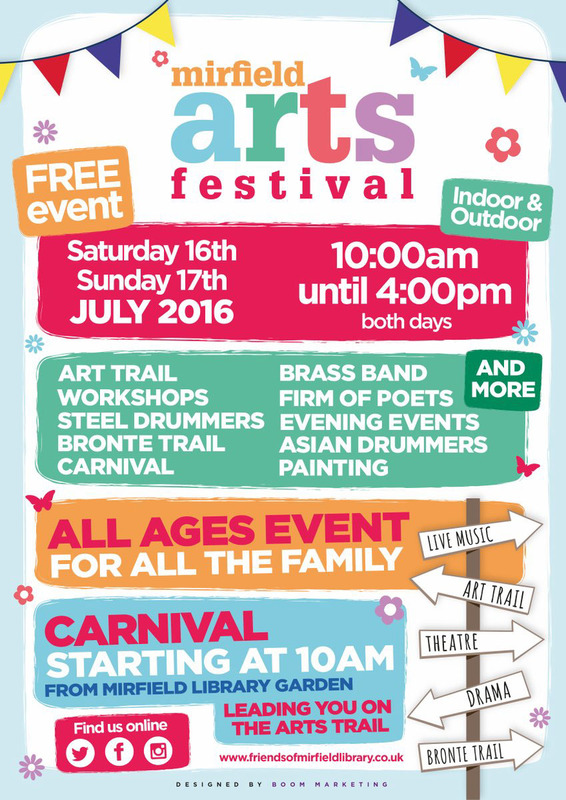 We were asked to brand the Mirfield Arts Festival. 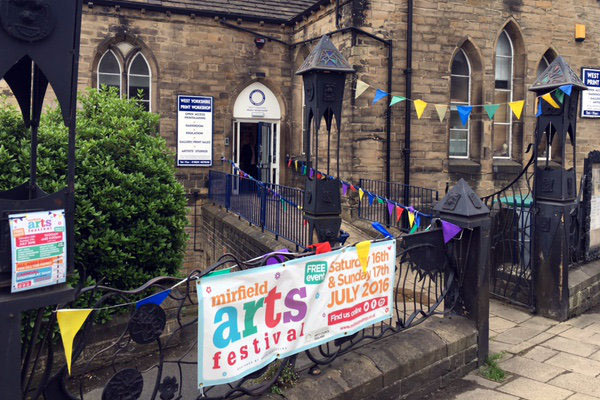 The Mirfield Arts Festival took place in several venues in, and around, Eastthorpe and Mirfield town centre over the weekend of the 16th and 17th July 2016. 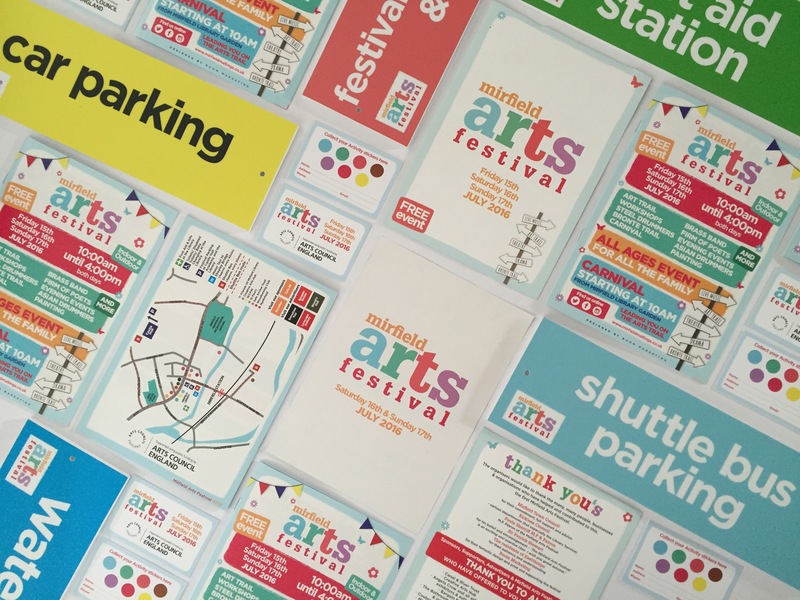 The aims of the Arts Festival are: “First of all we want Mirfield to enjoy itself at what should be an interesting, fun and mostly free of charge weekend of exhibitions, entertainment and happenings. We want to showcase Mirfield for what it is – a good place to live, work, shop and do business. Plus we want to help enhance the social and cultural life of the town.” We created a look which was fun and friendly, inviting all ages to the event.